Plans unveiled for Illinois Innovation Network. Governor Bruce Rauner and the University of Illinois System unveiled plans Thursday for an Illinois Innovation Network (IIN) to help ignite the state’s economy through a $1.2 billion network of research universities, businesses, and public sector partners focused on the development of solutions in computing and big data, advanced materials, food and agriculture, and biosciences and health. The network will help ensure a knowledge-based, 21st century economy in Illinois where discovery and innovation are the focal points. The plan is to nurture the inventors and entrepreneurs of tomorrow by allowing them to hone their talents in Illinois. The network will be led by the University of Illinois System, with universities in Urbana-Champaign, Chicago and Springfield and satellite campuses in Peoria and Rockford. The University of Chicago and Northwestern University will be inaugural partners. “We anticipate that over time other Illinois state universities as well as world renowned international research universities will join the network to help spread DPI’s impact around the state and around the world,” Governor Rauner said. The first step in building IIN is the development of the Discovery Partners Institute (DPI) with a major facility located in Chicago. Related Midwest, a Chicago-based real estate developer, will donate land south of Roosevelt Road along the Chicago River for the institute. “By facilitating the focused collaboration of our state’s incredible resources, we can deliver a high-powered jolt to the Illinois economy that will accelerate innovation, enterprise, and job creation for the entire state,” the Governor said. The U of I System expects DPI to house up to 90 faculty and 1,800 students per year when it is fully operational. They will work alongside leading researchers and Illinois businesses to create new technologies and advancements in its areas of study. The idea is to have collaborators advance global solutions to attract both venture capital investment and talent to the state. Chicago is an ideal location for the institute. It is a global destination with deep connections to statewide research and its computing, engineering, manufacturing and agriculture communities. The city is home to world-class healthcare research through its concentration of academic medical centers. The U of I System, which recently launched a new capital development program, will lead fundraising efforts with private sector individuals and corporations. Governor Rauner, who said that the institute is referenced in the City of Chicago’s bid to win the Amazon HQ2 competition, expects DPI to be financed primarily from private resources though he hopes to convince state and local officials to invest in the program as well. The U of I System estimates a substantial return on investment including training for about 10,000 student entrepreneurs every five years once DPI reaches full operation, support for more than $300 million in private real estate investment, and an estimated $500 million in new annual research and development spending. The System also estimates that the project could stimulate $4 billion in annual venture capital investment, a level four times higher than Illinois currently enjoys. Illinois sells $1.5 billion in bonds; proceeds to help pay down bill backlog. 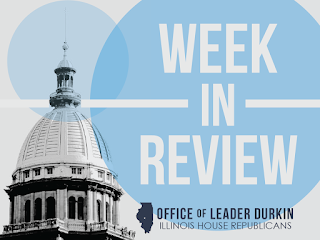 The State of Illinois sold $1.5 billion in general obligation bonds this week to pay down a portion of Illinois' roughly $15 billion backlog of unpaid bills. Proceeds from this bond sale, together with funds from the planned sale of $4.5 billion Series 2017D general obligation bonds next week, will be used to help cut the State's backlog approximately in half by June 2018. The State has been accruing late payment interest of 9 percent to 12 percent on a portion of its backlog obligations. This week's bond issue has an all-in borrowing cost of 3.5 percent, cutting those costs by more than half. The $1.5 billion in general obligation bonds issued today were sold competitively in three separate bids, each with a par amount of $500 million. The Series 2017A bonds mature in 2018, the Series 2017B bonds mature in 2019 and the Series 2017C bonds mature in 2029. The bonds are being issued as fully tax-exempt and are rated "BBB" by Fitch Ratings, "Baa3" by Moody's Investors Service, and "BBB-" by S&P Global. The three series received nine bids. The spread on the 2029 maturity was 165 basis points over AAA November Municipal Market Data (MMD). "The state received strong bids today for its bonds and is pleased with the market's favorable reception of the sale," said Scott Harry, director of the Governor's Office of Management and Budget. "This bodes well for the state's financing coming next week." Following the completion of next week's $4.5 billion bonds to complete the backlog refinancing, the State will return to the capital markets later this year with a $750 million general obligation bond issue for 2018 capital projects, which will also be sold competitively. DCEO announces creation of six new zones. The Illinois Department of Commerce has announced the decision to certify six Enterprise Zones. The Enterprise Zone Board evaluated applications submitted by interested parties and made their final recommendations at their annual meeting held on September 6, 2017. Enterprise Zones encourage job growth and investment in economically depressed areas. Companies and organizations within a zone may qualify for various tax incentives like sales tax exemptions on qualifying building materials, investment tax credits, utility tax exemptions and various local incentives. Each zone is administered by a local official under rules established by the state. Once designated, an Enterprise Zone maintains its designation for 15 years. The Enterprise Zone Board will review the zone after 13 years to determine a possible ten year extension of the designation. Up to three zones will be considered by the Enterprise Zone Board in 2018 for designation. Applications are available here and are due by December 31, 2017. General Assembly prepares for 2017 fall veto session, slated to begin next week. 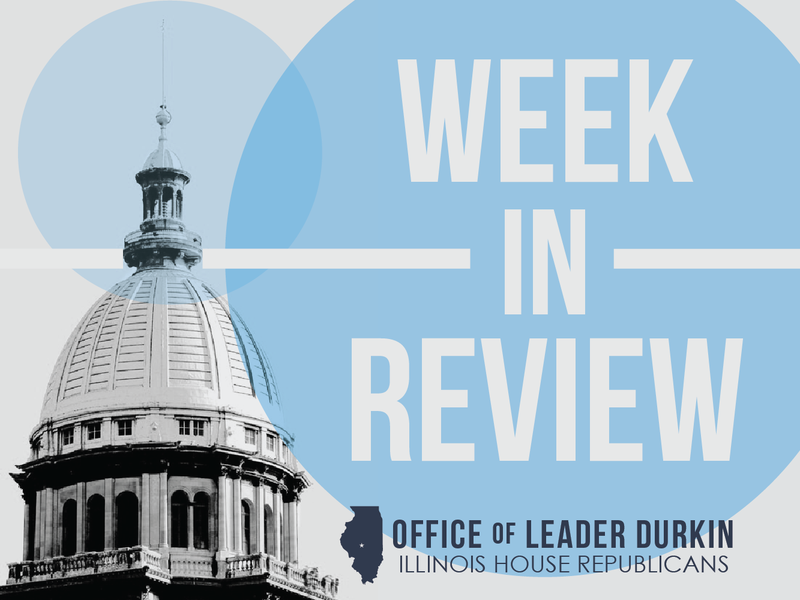 For the House, the first week of veto session will be spent taking a look at Governor Rauner’s vetoes of House bills approved by the General Assembly in the spring 2017 session. Meanwhile, the Senate will be looking at vetoed Senate bills. Each chamber can take steps to override a veto by three-fifths majority. If a bill veto is overridden in its “house of origin,” the bill where it originally started – for example, a House bill’s veto overridden by vote of the full House – the bill does not immediately become law; it has to go to the second chamber for a second override vote. If a veto is overridden in both houses, the bill will become law. The House’s consideration of the Governor’s vetoes, and motions to override these vetoes, is governed by House Rules 79 through 82. In addition to considering veto motions, the House and Senate may also consider other matters on Second and Third Reading during the veto session. New bills can be introduced to respond to urgent new problems. Resolutions can be adopted to speak out on issues of the day. Persons interested in Illinois veto session action can follow the overall session at The Caucus Blog. 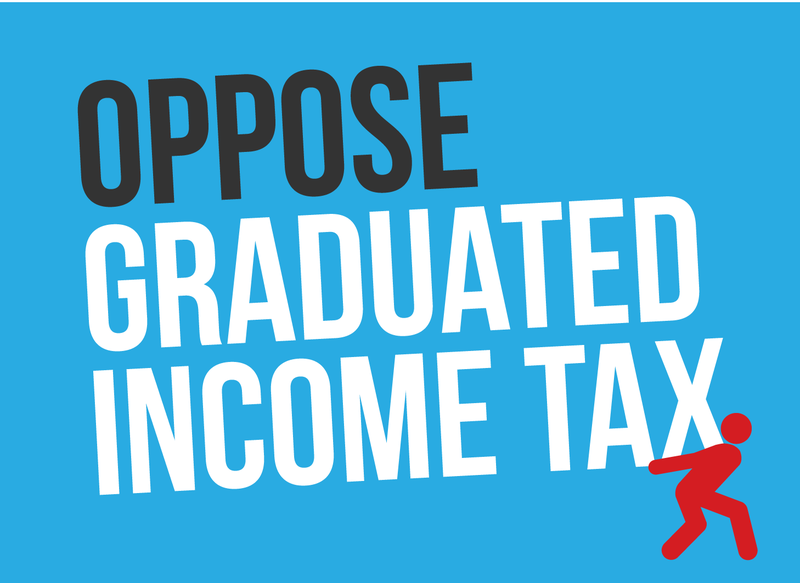 In addition, updated summaries of the bill status of each individual measure can be found on the Illinois General Assembly website. Illinois jobs decline in September - Unemployment rate unchanged. The Illinois Department of Employment Security (IDES) announced this week that the unemployment rate remained unchanged at 5.0 percent in September and nonfarm payrolls decreased by -10,800 jobs over-the-month, based on preliminary data provided by the U.S. Bureau of Labor Statistics (BLS) and released by IDES. August job growth was revised up to show a smaller decline (-2,600 jobs) than initially reported (-3,700 jobs). September’s monthly payroll drop kept over-the-year job growth well below the national average. While Illinois job growth has had its ups and downs since the beginning of the year, the 3-month trend shows average declines of -4,200 jobs per month from July to September, while the six-month trend shows a -400 per month average job loss from April to September. Both the 3-month and the 6-month changes are worse than reported last month. The state’s unemployment rate is +0.8 percentage points higher than the national unemployment rate reported for September 2017, which decreased to 4.2 percent. The Illinois unemployment rate is down -0.8 percentage points from a year ago when it was 5.8 percent. At 5.0 percent, the Illinois jobless rate is -0.7 percentage points lower than January 2017. National Prescription Drug Take Back Day is October 28. Unneeded or expired prescription drugs are often hoarded, sent to an insecure landfill, or flushed down the toilet to potentially contaminate local water supplies. These substances should be placed in secure, monitored landfill storage sites that do not leach into groundwater. Access to these sites is expensive, but law enforcement is taking steps to ensure that owners of unwanted prescription drugs will have free access to safe, secure disposal. The U.S. Drug Enforcement Administration is co-sponsoring the 14th National Prescription Drug Take Back Day to be held on Saturday, October 28. Consulting this zip code entry list will uncover the Illinois collection site nearest you. Highly-sought automotive manufacturing plant won’t come to Illinois. After considering at least one Illinois site, a Toyota-led consortium of Japanese carmakers has told Illinois economic planners that the state did not make the final cut. The lost prospects for the projected $1.6 billion plant, and what will be hundreds of millions of dollars in spinoff economic development from plants making automotive parts, was a disappointment for many Illinoisans. The Toyota news was seen as a further sign that Illinois needs to redouble its efforts to develop a jobs-friendly economic climate. Illinois’ tort-law climate and workers’ compensation rates are among the least hiring-friendly in the central U.S. The controversial issue of right-to-work (RTW) is a key element in any discussion of Illinois’ status. All five of the states that physically border Illinois are now right-to-work states that do not mandate forced union dues. Observers say the Toyota consortium is likely to choose a RTW state as its preferred location to site the proposed new plant. National Guard and Reserve Veterans Eligible for Driver's License Designation. Former members of the Guard and Reserve who do not have any periods of active duty other than their initial active duty for training and annual training are now eligible to receive “Veteran” on their driver’s licenses. 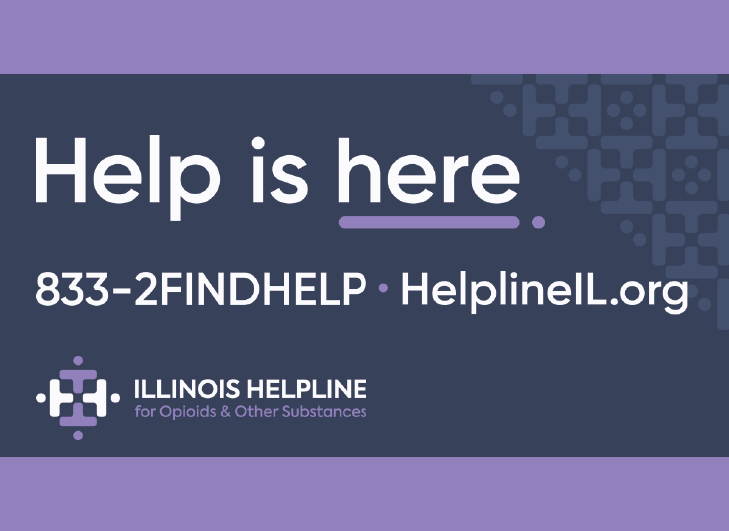 "This bill ensures that every man and woman who has served this state and nation is recognized,” said Illinois Department of Veterans’ Affairs Director Erica Jeffries. "Our veterans have given so much for us, and I am glad Illinois is taking this step to expand designations." Last year, Governor Bruce Rauner signed Senate Bill 2173 to allow National Guard members and reservists to obtain the veteran identifier on their Illinois driver's license. In order to receive that designation, veterans of the Guard and Reserve are required to present a copy of their certificate of release or discharge from initial active duty, certified and stamped by the Illinois Department of Veterans Affairs (IDVA), to the Secretary of State.